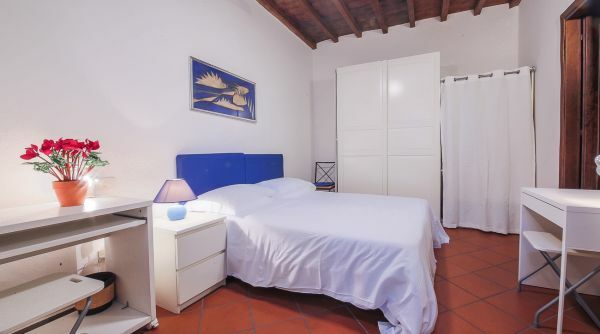 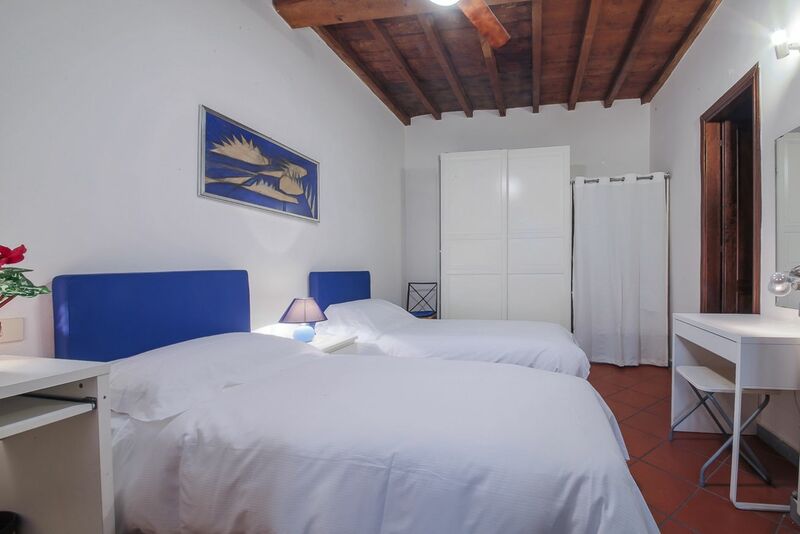 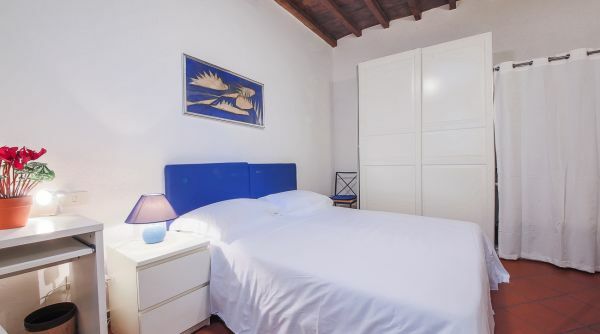 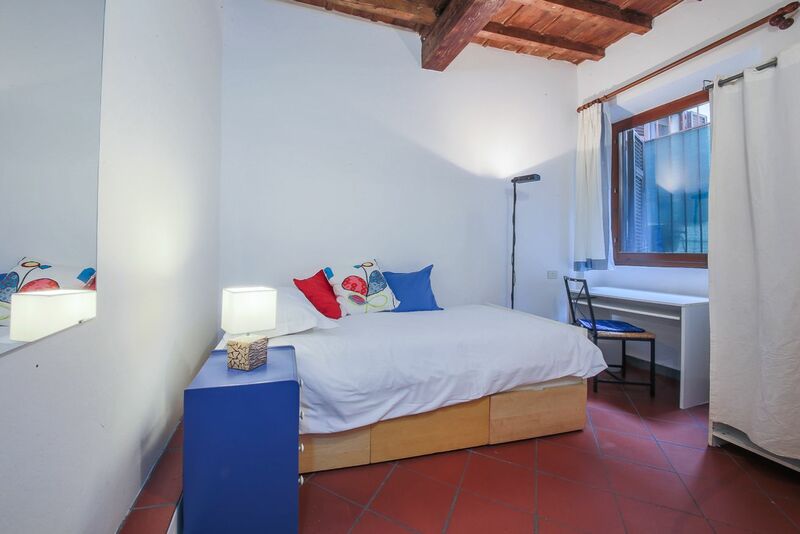 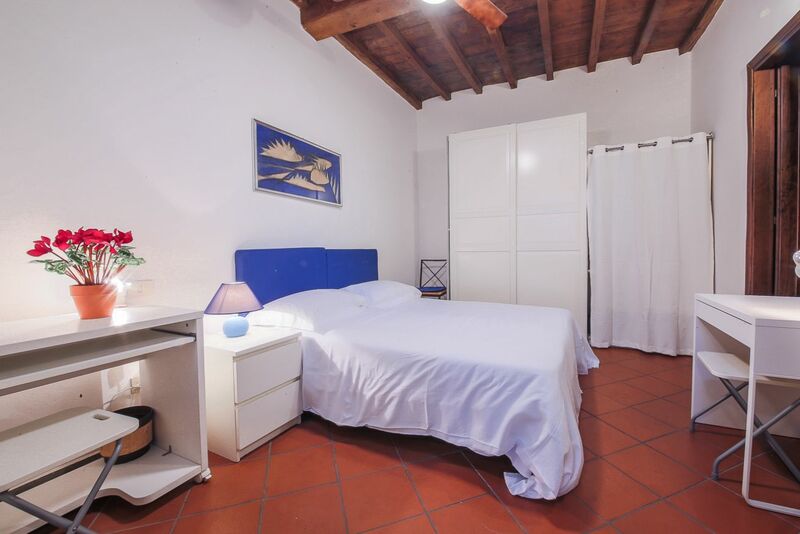 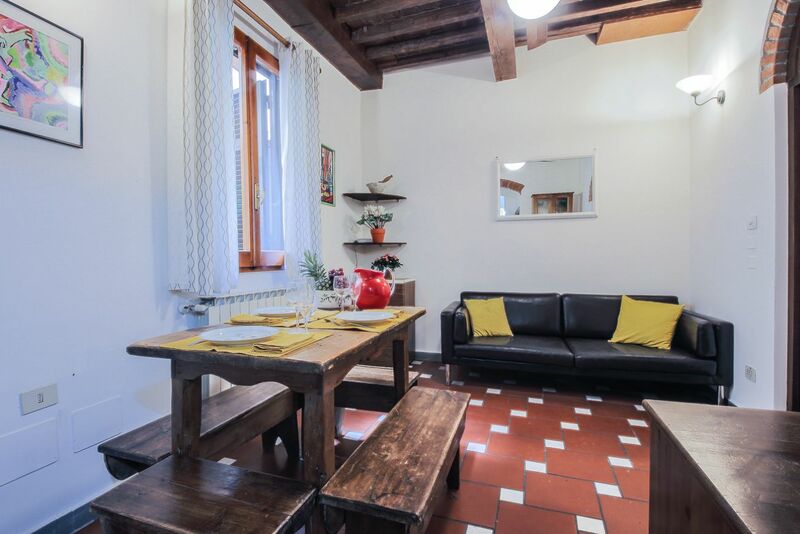 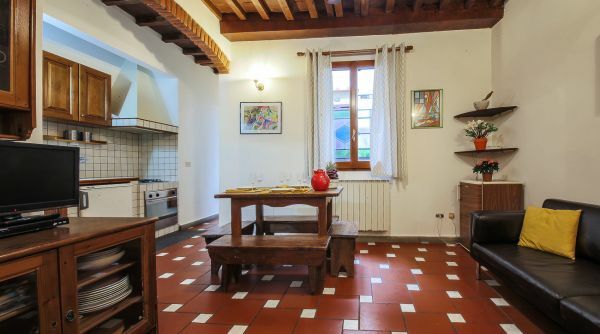 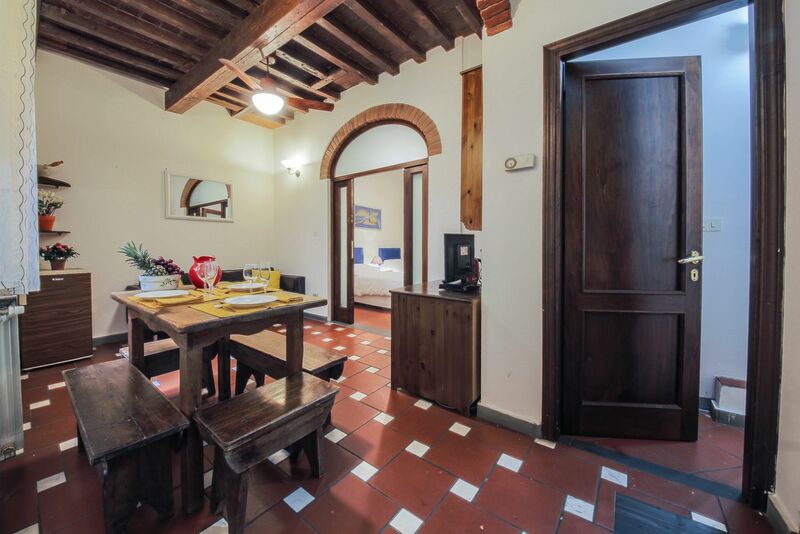 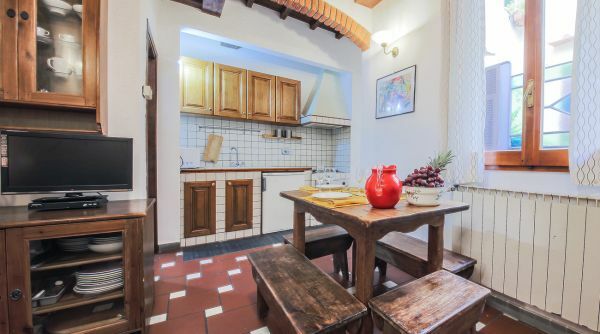 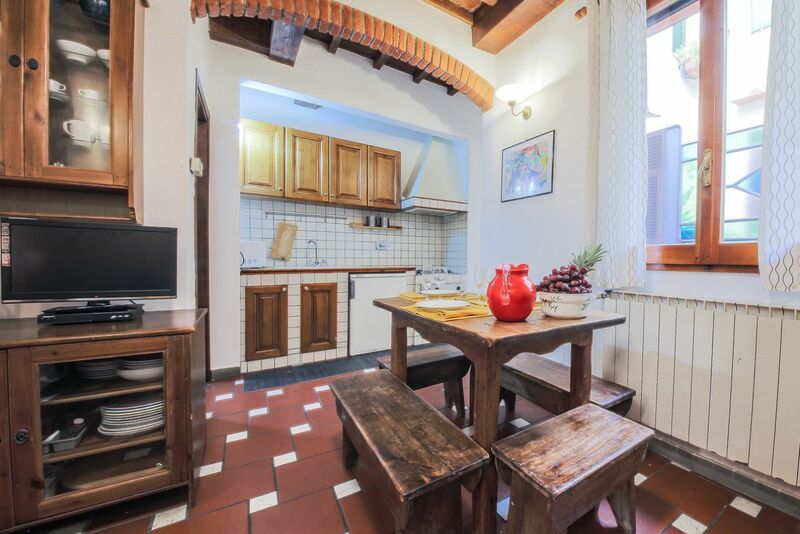 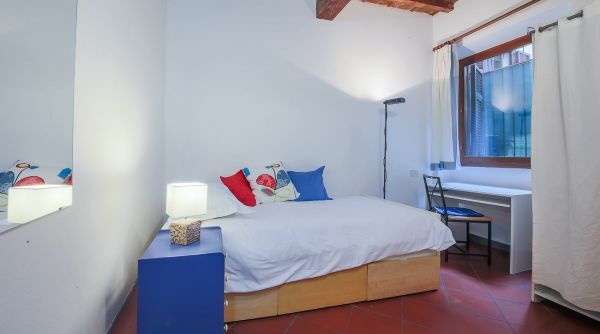 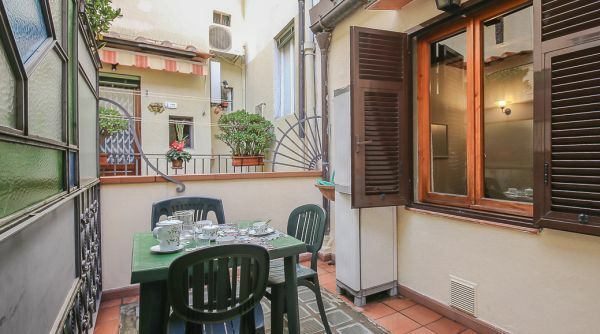 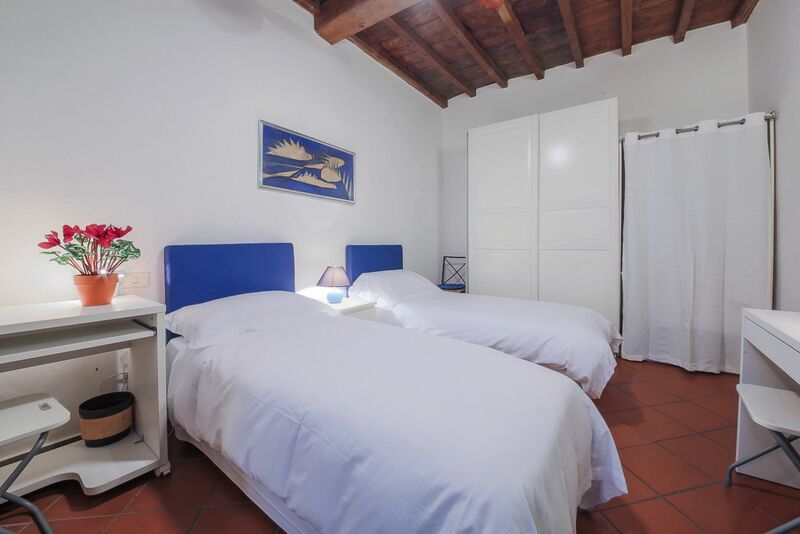 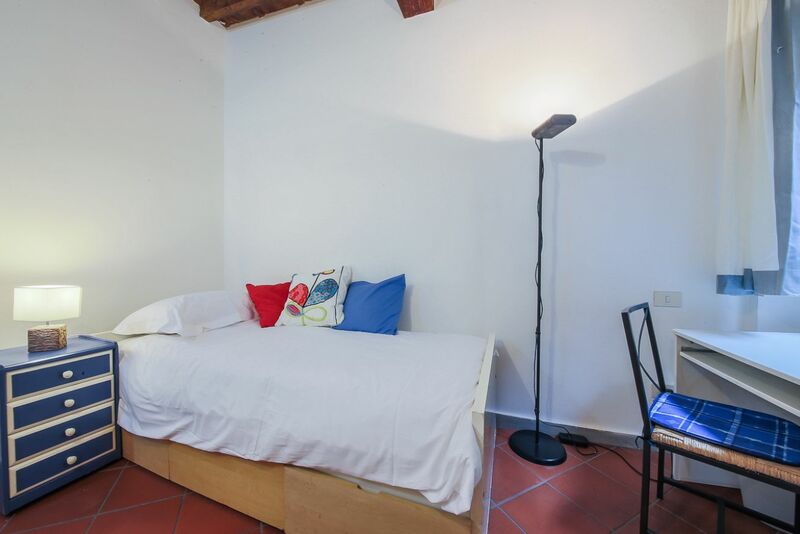 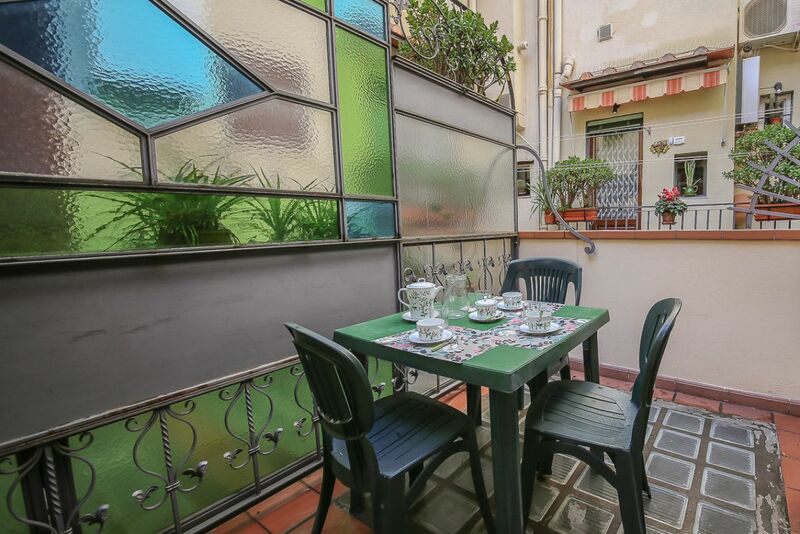 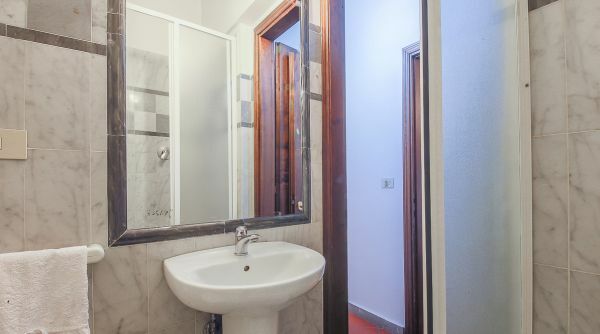 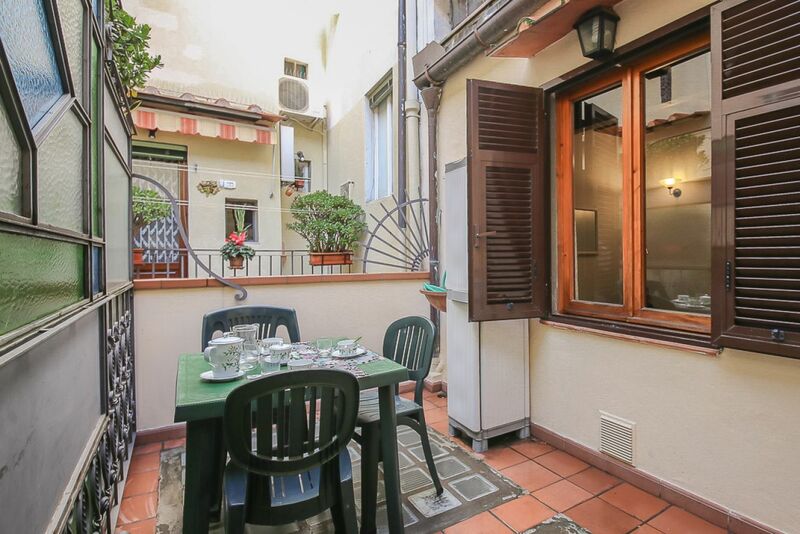 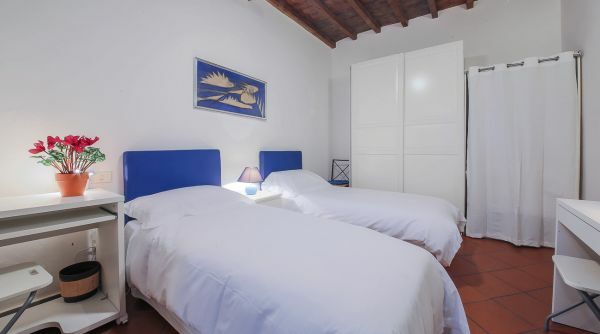 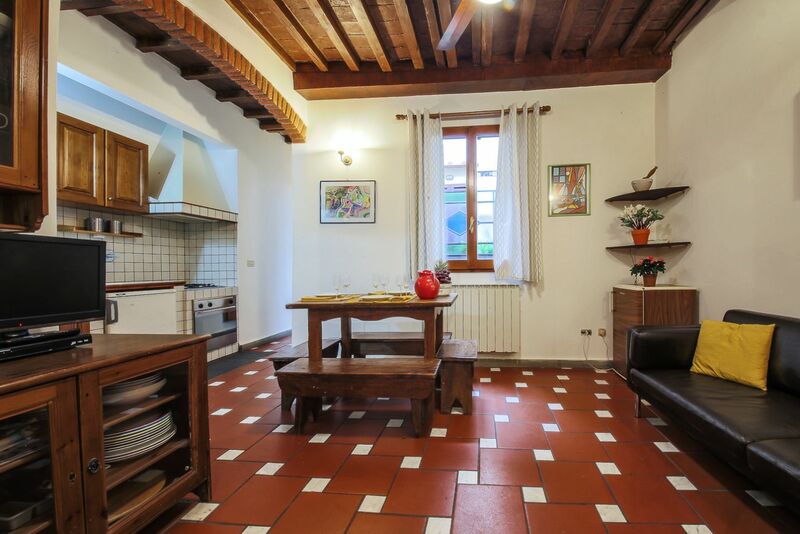 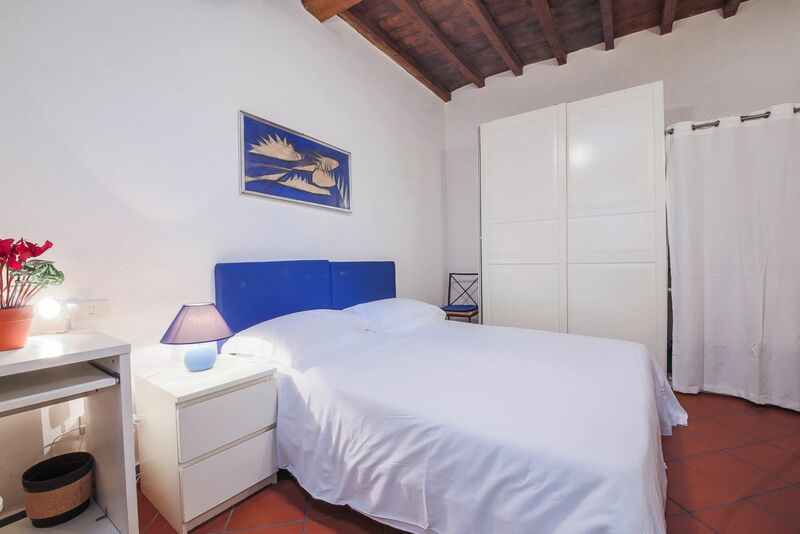 The Ghibellina New apartment is located in the historic district of Santa Croce, a few steps from all the main tourist attractions of Florence. 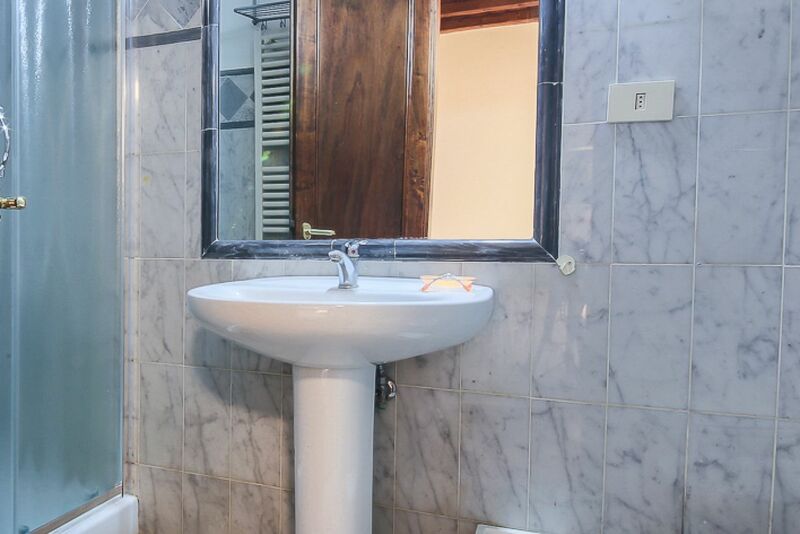 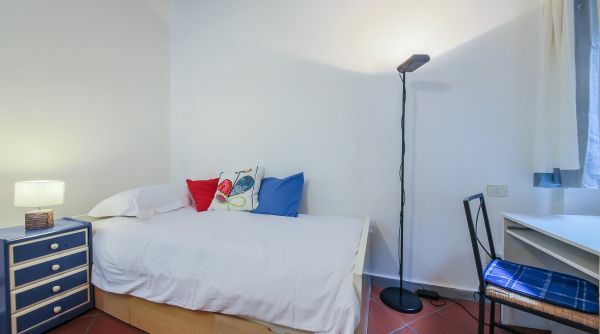 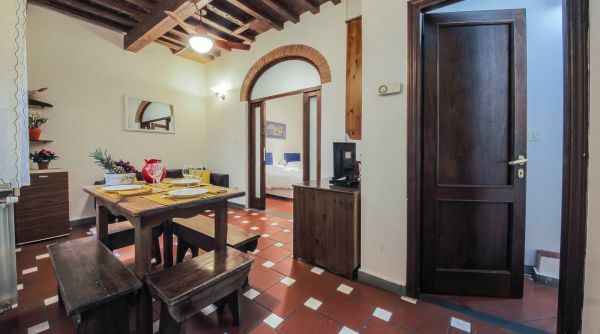 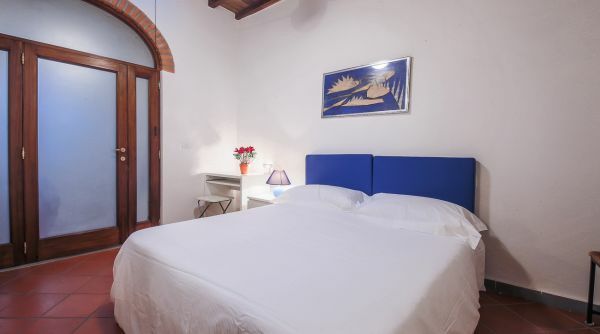 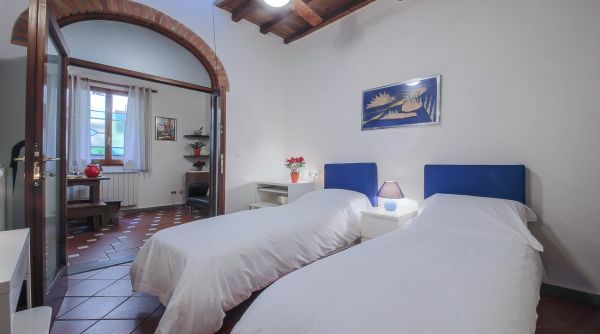 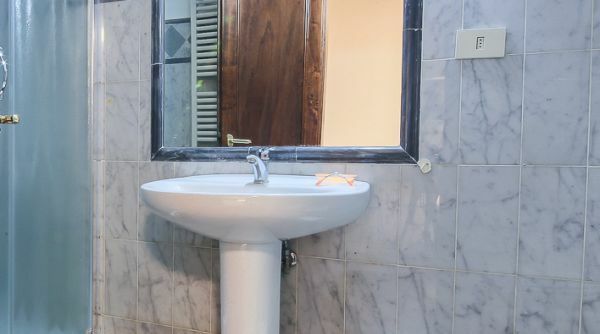 It is located on the first floor with elevator, the style is simple and rather rustic and the apartment has recently been refreshed and part of the furniture replaced with new beds and appliances. 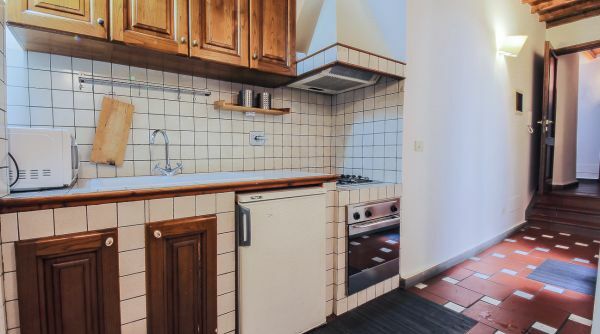 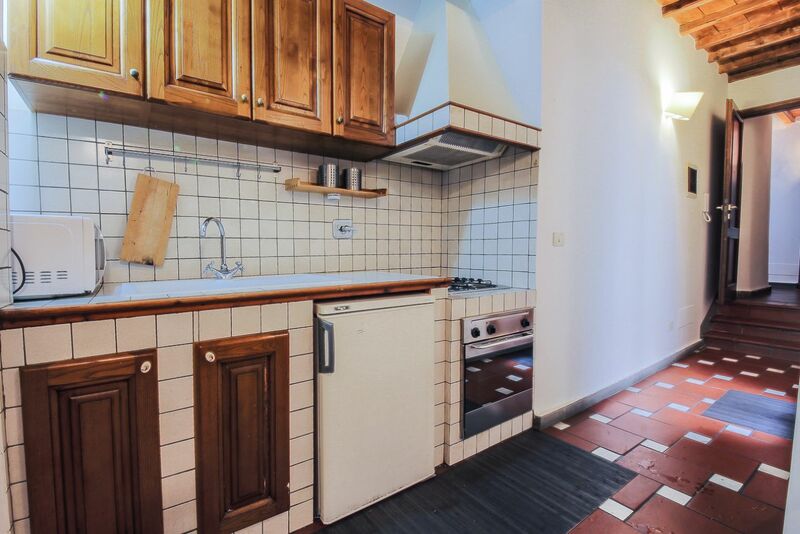 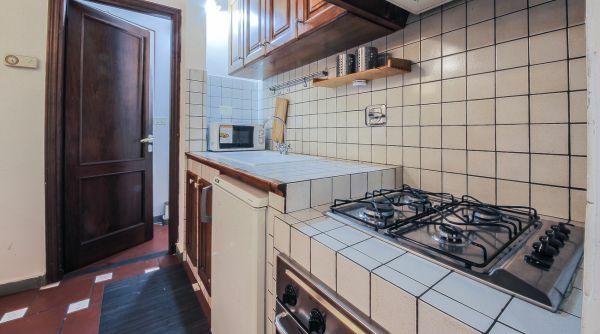 The entrance to the apartment immediately leads to the kitchen, where there is also a traditional oven, a dishwasher and a microwave oven. 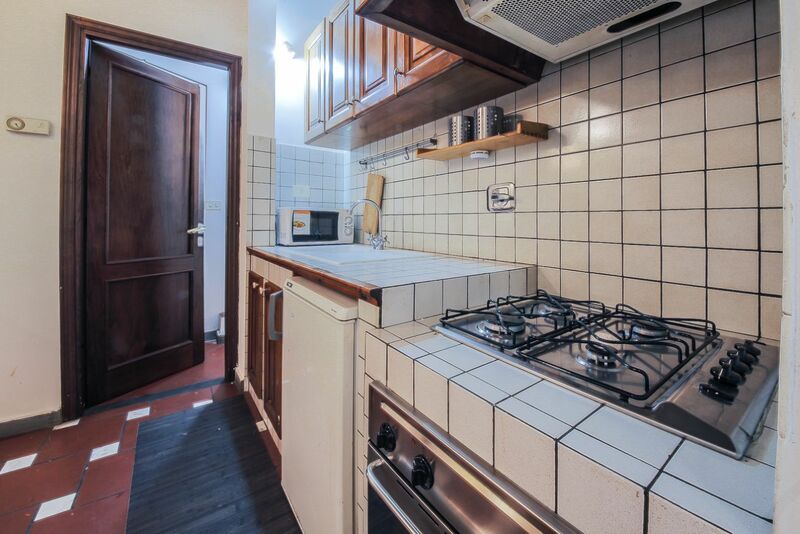 The kitchen shares the space with the dining room and living room where there is a table and a sofa. 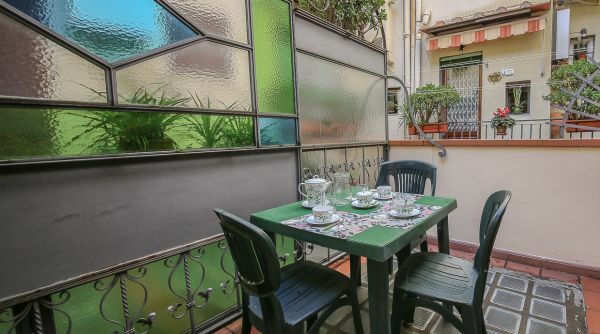 The living room leads to a small private outdoor area, very pleasant in the summer because the space is enough to have lunch and relax in the cool provided by a large umbrella that also ensures a little privacy. 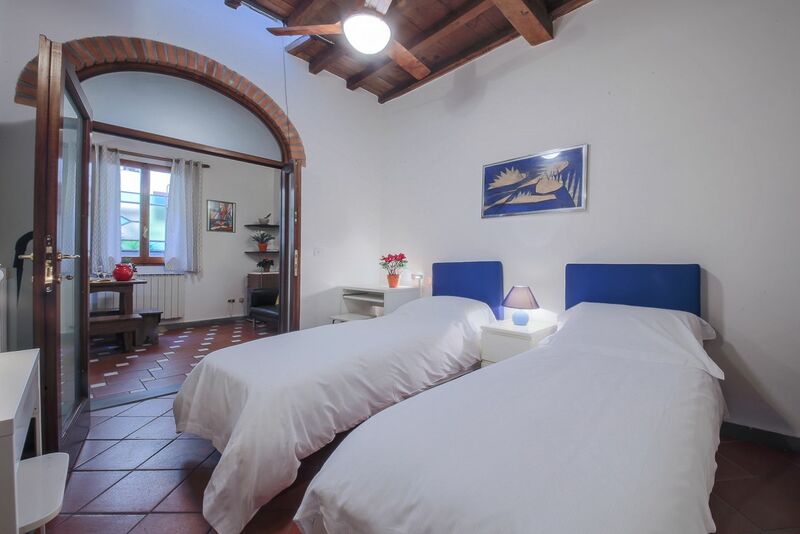 Entering the house, past the kitchen on the right is a bedroom with a single bed, a small wardrobe and a desk while to the left of the living area there is a bedroom with two beds that can be used as single beds or one double bed. 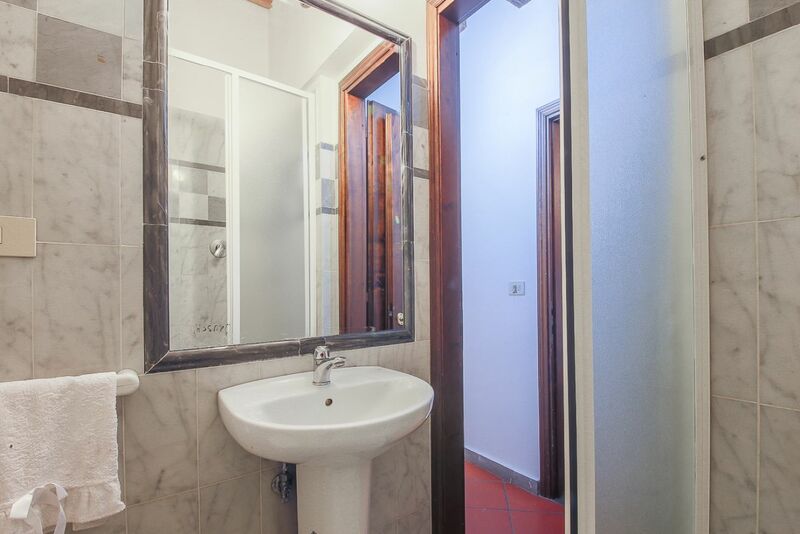 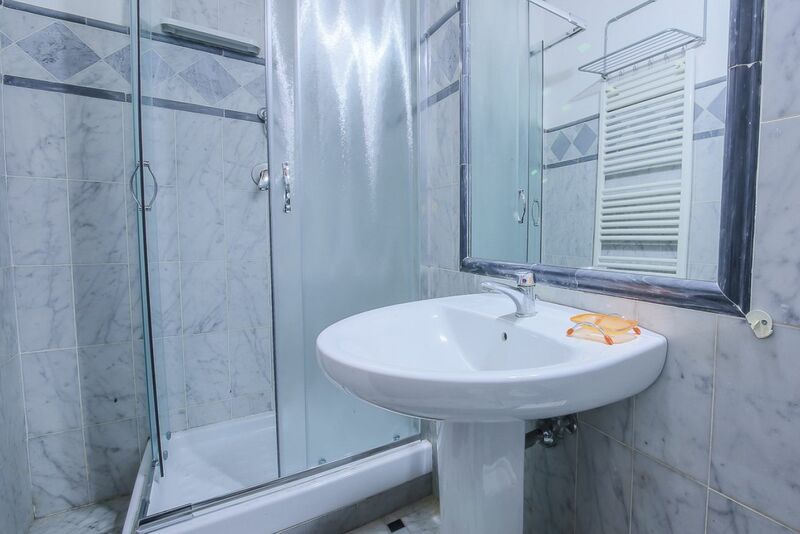 Each of the rooms is served by its own bathroom - ensuite in the double room - and in the corridor near the single bedroom. 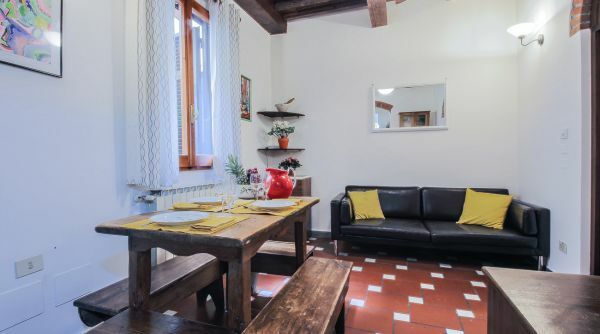 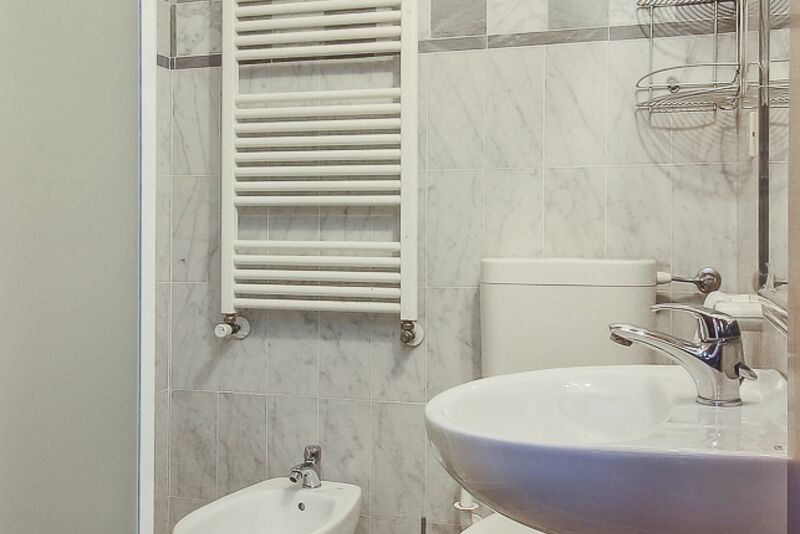 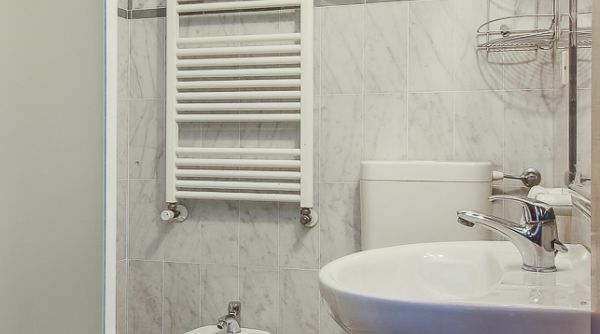 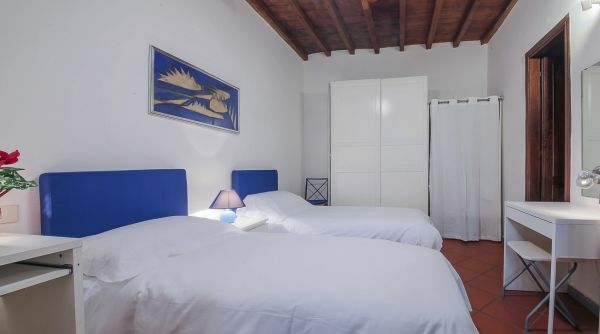 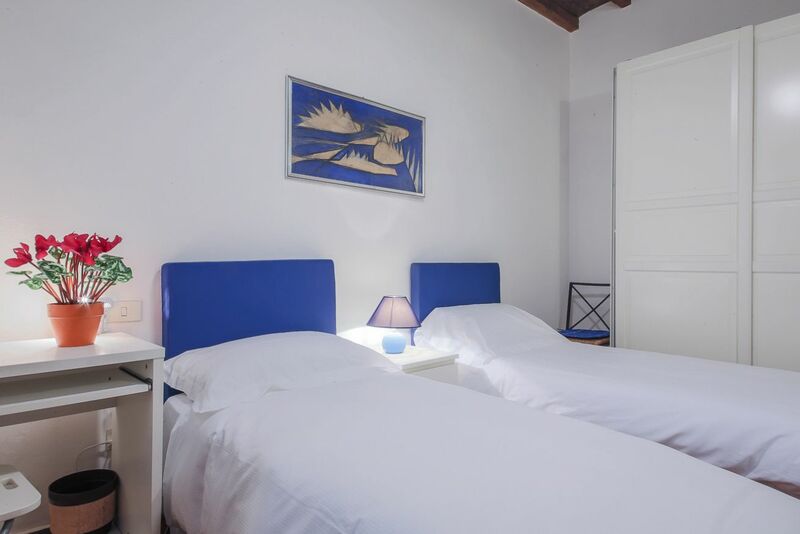 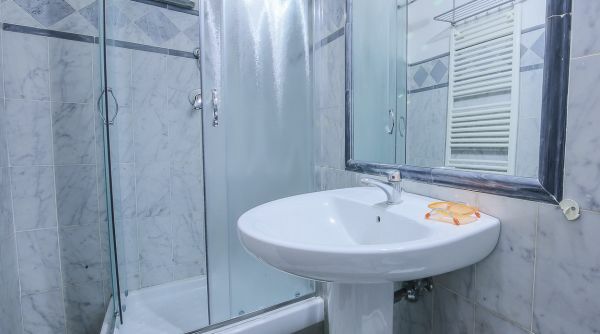 This apartment is managed directly by the staff of Apartments Florence to guarantee the highest level of assistance and quality of service during your stay in Florence. 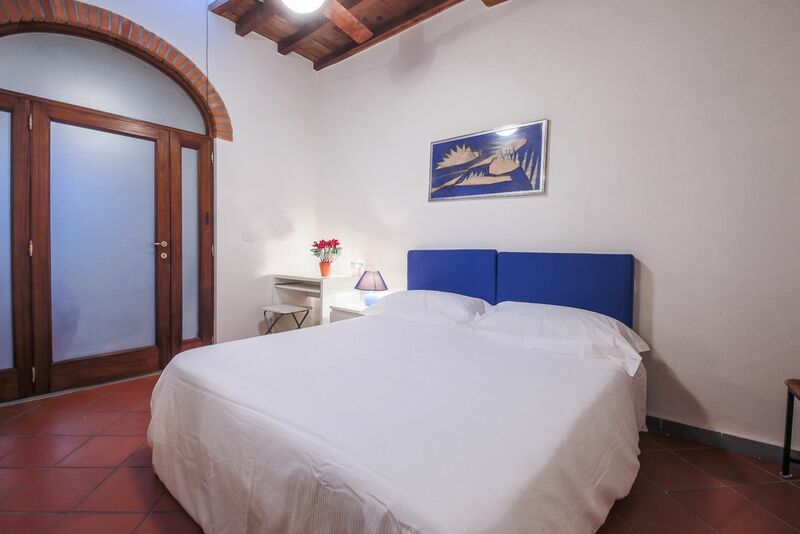 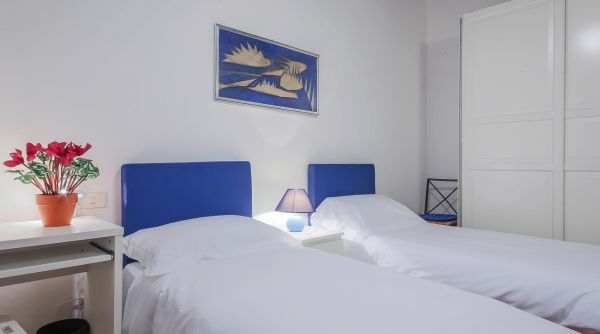 The check-in and check out procedures, the provision of linen and cleaning services, assistance and maintenance are all provided by Apartment Florence.